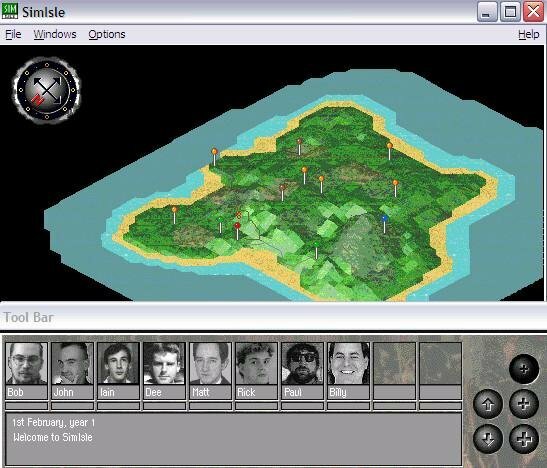 SimIsle puts the player in charge of an series of islands. 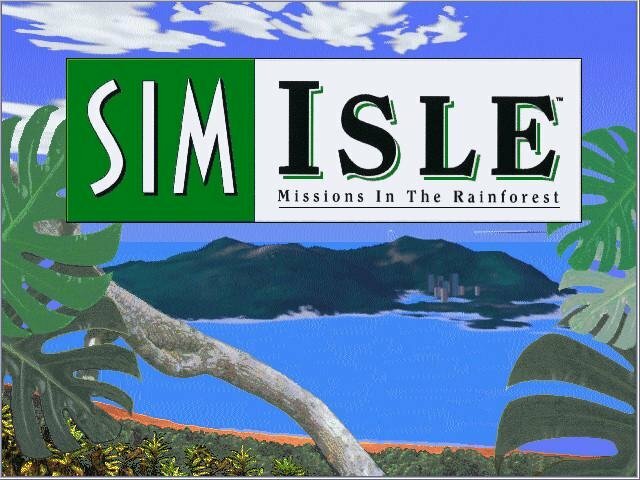 In sharp contrast to SimCity, you don’t just develop the islands – there are specific missions which must be carried out. 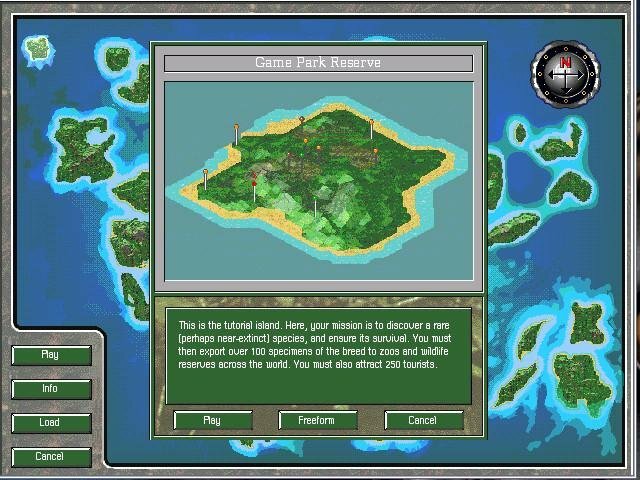 Each island has its own goals that need to be met, like bringing tourism up to a certain level or exporting a certain number of exotic animals. 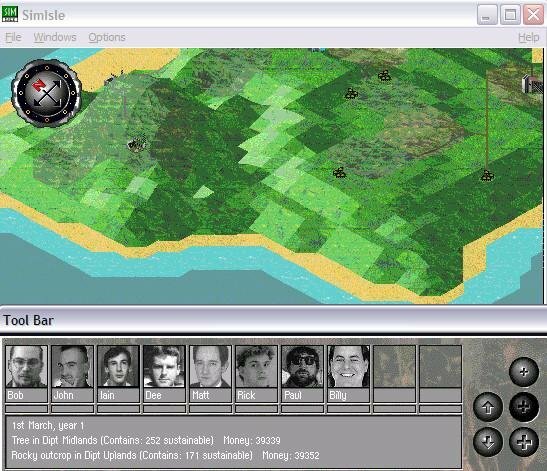 But before you get upset about a limited amount of islands to play on, there’s an island, marked with a big question mark, which randomly generates an island for you to develop. Also, if you don’t want to work within the parameters of the mission and just want to run things for a while, there is a free-form option that allows you to practice and get the hang of things. The graphics are nice, but that’s about it. 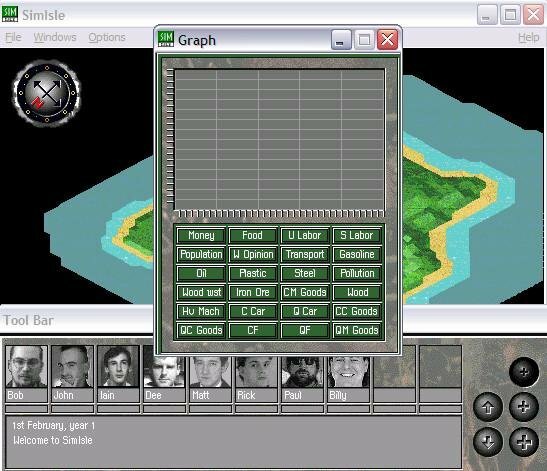 SimCity 2000 had better graphics as far as the landscape is concerned, and the graphic representation of the terrain in SimIsle is muddled to the point of not always being able to easily tell where the land is smooth and where it’s uneven. 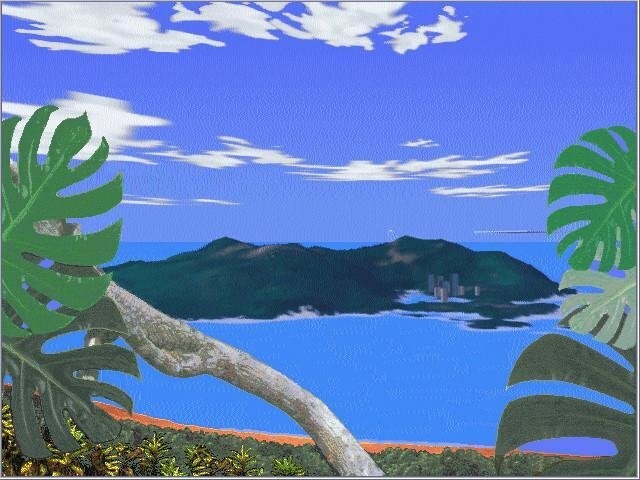 The distant view is easy enough to see, but when you get right next to a part of the island you’re trying build something in, it’s downright frustrating when trying to find a nice level piece of land without being able to see clearly. SimIsle helps out with this problem by changing the color of the cursor over a spot that you can build on. 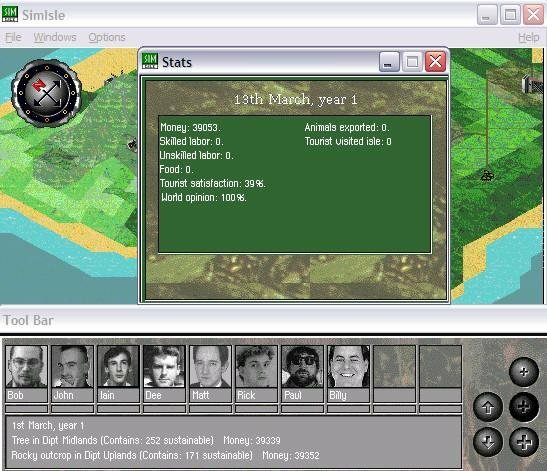 Overall, SimIsle is a fun game to play that can really be involving at times. 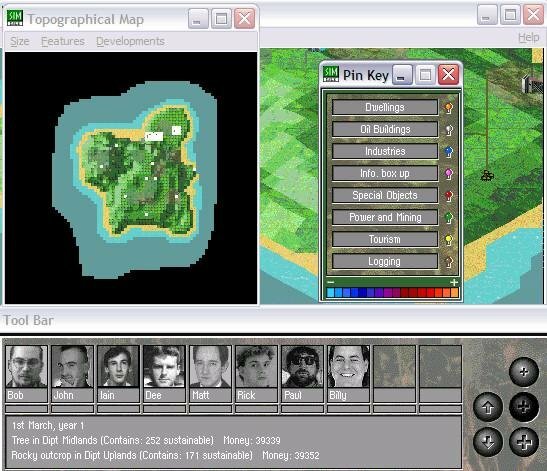 It did seem to have its slow spots and lacks that sense of creativity found in the SimCity titles, which for some people might not necessarily be a bad thing. Fans of SimCity will probably find SimIsle a little too confining, but those of you who didn’t like SimCity because of the lack of direction, you might want to check out SimIsle and it’s mission-based scenarios. It has a pretty good blend of management and problem solving which makes a good if not exceptional addition to the Maxis Sim series.